I am looking for creative, energetic, and hard-working BS, MS, and PhD students with interests in the Internet of Things, edge computing, mobile systems, and wireless and mobile networking to join my lab at Duke University. Please e-mail me your CV, your transcripts, and a brief note about your research interests at maria.gorlatova /at/ duke.edu. 3/6/2019: New: we have a number of summer research opportunities in the lab for US-based undergraduate students. Some of the project descriptions are available here. Please e-mail me at maria.gorlatova /at/ duke.edu if interested in joining the lab. The lab works in the cross-disciplinary area currently known as the Internet of Things (IoT). The long-term vision of our research is taking the IoT to the point where intelligent, reliable, adaptive collaborative IoT deployments can be created near-automatically beginning-to-end, from hardware form factor generation to communication support and cloud infrastructure specifications. Our research can be seen as covering two key sub-components of this vision: (1) making IoT deployments more capable (e.g., more energy-independent, more intelligent, more readily deployable in commonplace environments, more readily accessible to the users), and (2) automating IoT design decisions currently done via engineering trial and error (e.g., automating the logic behind data rate and protocol selection and task separation decisions). The current focus of our work is on enabling the next level of intelligence, interactivity, adaptability, cognition, and deployment automation in the Internet of Things with fog and edge computing. We are also working on new IoT node form factors and new sensors and actuator for IoT devices and applications. Another key focus area of our current work is advancing the state of augmented reality, a technology with a transformative promise that helps interacting with IoT-captured, previously invisible, properties of the world in fundamentally new ways. Enabling practical augmented reality with edge and fog computing: Current augmented reality deployments have multiple limitations that need to be overcome for augmented reality to become a practical pervasive technology. These limitations include high energy consumption, limited multi-user experiences, and overall lack of robustness and intelligence. We are currently exploring a range of approaches for improving augmented reality experiences with edge computing, including making the experiences more adaptive and intelligent, more secure, and enabling advanced communication and networking support for them. Prof. Gorlatova’s vision for intelligent augmented reality has recently been summarized in a Network World article available here. 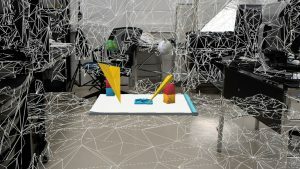 Augmented Reality, Fog, and Vision: Duke Professor Outlines Importance of Smart Architectures, Network World, 2018. Intelligence on the edge: Bringing advanced intelligence close to the end users with edge and fog computing can help IoT to live up to its fullest potential. However, it is far from trivial to adapt both training and inference algorithms to the constraints of edge systems, and to figure out how to best exploit the advantages of both edge nodes and cloud components of the overall IoT systems. We are currently exploring multiple directions in adapting different machine learning algorithms to collaborative edge/fog conditions. This research will enable the next level of interactivity and cognition in Internet of Things deployments, while also reducing network loads and energy consumption associated with machine learning algorithms. Y. Ruan, L. Zheng, M. Gorlatova, M. Chiang, C. Joe-Wong, The Economics of Fog Computing: Pricing Tradeoffs for Distributed Data Analytics, Fognet and Fogonomics, Wiley, in print, 2019 (invited book chapter). Aiding Internet of Things communications and control with smart gateways: Currently, many elements of communications, networking, and control in the Internet of Things are statically pre-configured. 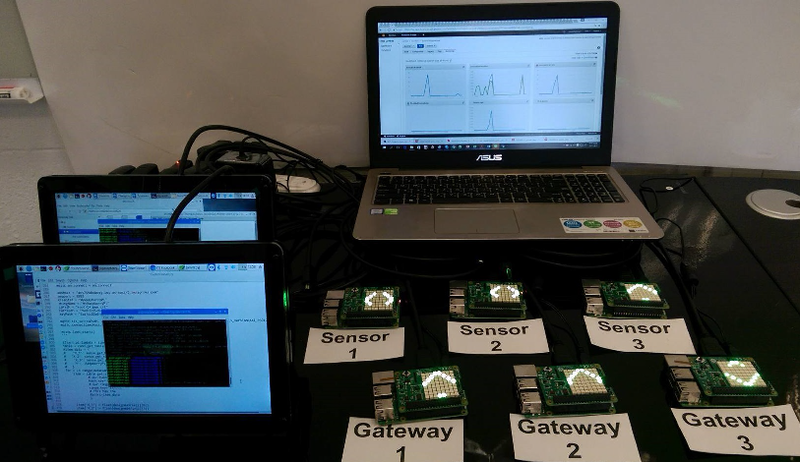 We are exploring how smart gateways can aid in automatic protocol selection, bandwidth allocation, functionality placement, automatic management of network resource reservations, and other adaptive on-demand behavior in IoT systems. Among other techniques, we are examining the applications of reinforcement learning in these contexts. This research will lead to increased capabilities and reduced energy consumption in the IoT systems, and will enable supporting the combination of ultra-low-latency and high-bandwidth communications that are required in modern practical IoT deployments. M. Gorlatova, H. Inaltekin, M. Chiang, Characterizing Task Completion Latencies in Fog Computing, arXiv:1811.02638, Nov. 2018. Industry and public engagement: In applied fields like the Internet of Things, it is particularly important to share research findings with broad technical and non-technical communities. We place emphasis on making code, data, and experimental how-to guides widely available for a wider scientific community, and on developing long-term industry collaborations. We are particularly excited about developing opportunities for seamless transfer of research to industry-wide deployments, such as contributing edge computing-related developments to the EdgeX Foundry open source project. Prof. Gorlatova has also previously advised IoT startups in the fitness and wellness space. Aug. 2018: Women in Tech Show podcast: Edge Computing with Maria Gorlatova. Dec. 2017: Embedded.fm podcast: When Toasters Attack. Nov. 2017: Fog Support for Autonomous Driving use case description whitepaper, developed in collaboration with Intel, CISCO, Microsoft, RTI, and Hitachi representatives. Prof. Gorlatova’s Ph.D. research focused on developing energy harvesting active networked tags for ubiquitous networking of commonplace objects in the Internet of Things [Dissertation PDF]. This research was recognized with the 2016 IEEE Communications Society Young Author Best Paper Award, the 2011 ACM SenSys Best Student Demonstration Award, and the 2011 IEEE Communications Society Award for Advances in Communications. More information about this work: EnHants, energy harvesting, prototypes and the testbed we developed.